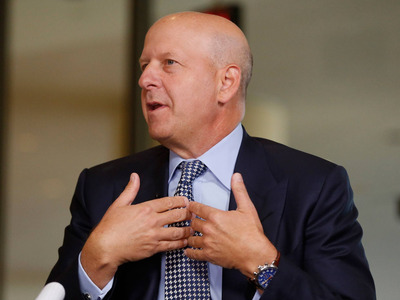 Crains New YorkGoldman Sachs CEO David Solomon. Before his death, De-Meyer was set to plead guilty on charges of stealing more than $US1.2 million in vintage wine from his former boss. A former personal assistant to Goldman Sachs CEO David Solomon jumped to his death on Tuesday before he was scheduled to plead guilty to charges of stealing more than $US1.2 million in rare wine from his former boss. Nicolas De-Meyer, 41, leapt from a window on the 33rd floor of the posh Carlyle Hotel on New York’s Upper East Side, according to media reports. De-Meyer had spent eight years working for Solomon from approximately 2008 to 2016, and one of his job responsibilities included shipping wine from Solomon’s Manhattan apartment to his wine cellar in East Hampton, New York, according to a indictment filed in the United States District Court for the Southern District of New York. The document didn’t identify the victim as Solomon, but the information was confirmed by a Goldman Sachs spokesperson previously. During that time, De-Meyer had allegedly stolen more than 500 bottles of rare vintage wine from his former boss. Among them were seven bottles of wine from the French estate Domaine de la Romanée-Conti that was purchased by Solomon for $US133,650. De-Meyer was accused of “wilfully and knowingly” transmitting stolen property in interstate commerce and was expected to face a maximum sentence of 10 years in prison. De-Meyer was set to plead guilty in federal court in Manhattan on Tuesday at 2:30 pm, roughly the same time when he jumped to his death from the Carlyle, but he didn’t appear in court, according the New York Post. De-Meyer’s sister had alerted hotel staff that he texted her saying he might kill himself over the case, the report said.